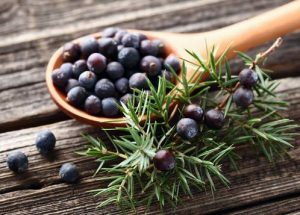 Juniper Berry Essential Oil – The branches and berries of the Juniper, a coniferous tree, have been used for medicinal and spiritual purposes since ancient times. It’s good to use Juniper Berry Essential Oil to cleanse and clear crystals. Juniper Oil has a distinctive aroma that is woody, sweet, fresh and crisp. Juniper Berry Essential Oil blends well with wood oils like cedarwood, sandalwood and rosewood and other conifers like cypress and fir needle. Emotionally, Juniper Berry Essential Oil is calming and helps to ease stress without imparting the sedative effects that clary sage and the chamomiles are known for. Spiritually, Juniper Berry Essential Oil used in a room mist, diffuser or candle burner cleanses and purifies the air. It is a good choice for use during prayer or meditation. I prefer to use Juniper Berry Essential Oil in a candle diffuser instead of a nebulizer. Clary Sage is associated with vision. 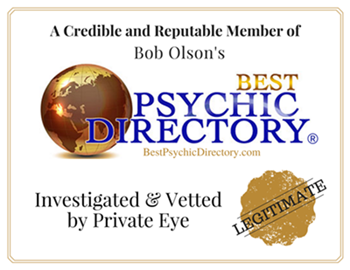 It is used to clear not only the physical eye, but also the third eye of the clairvoyant prior to channeling or divination. It lifts the spirit and helps detachment from emotionally difficult or painful situations. With emotional distance one gains a better perspective. The Peppermint Essential Oil is charged with intent to Refresh, Cleanse, and Purify the Mind, Body, and Spirit! it can provide relief from stress, anxiety, depression, and mental exhaustion. It can also be calming and cooling in order to relieve emotional restlessness. The oil also provides spiritual protection and purification of the spirit. Peppermint can be used when there seems to be barriers in the way of what is wanted. 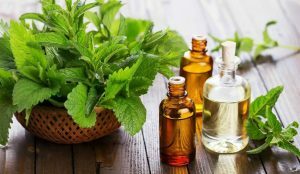 Peppermint can provide view of a clear pathway! Peppermint also lifts and stimulates the spirits, causing one to understand and appreciate the unfolding life mysteries! Cedarwood is used for spiritual grounding and purification. It’s also one of the essential oils used for spiritual awakening. It cleanses your space, heals the present, and purifies the spirit. Cedarwood removes blockages from your energetic body and aura. It purifies you emotionally by detoxifying negative energies, thoughts, worries, anxieties and fears. You’ll feel a refreshing cleanse inside and out as you meditate using this essential oil. With grounding and purification, you’ll be ready to discover your Higher Self. Use Cedarwood oil in your prayer and meditation rituals to bring calmness and peace. 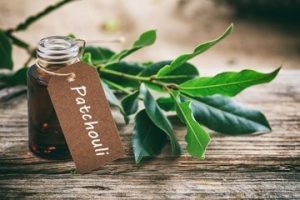 Patchouli is known for its earthy aroma and spiritually grounding properties. 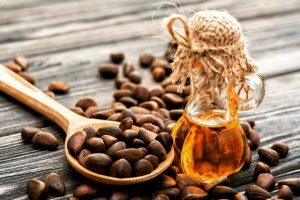 It has many versatile uses in skincare treatments, emotional balancing, sensual romantic blends, meditation, and spiritual awakening. It has emotional benefits such as calming and grounding. This essential oil is also used in blends for prayer and meditation. 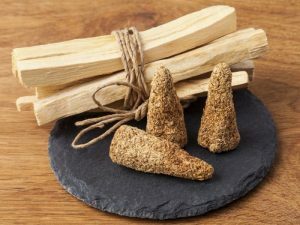 Its commonly diffused to relieve stress and fatigue. Did you know that unlike other essential oils that diminish and oxidize over time, Patchouli oil actually improves with age, just like wine! 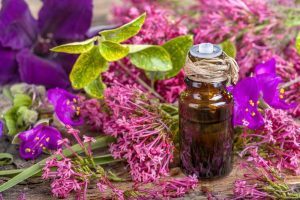 It’s a great investment to have Patchouli oil in your home collection. 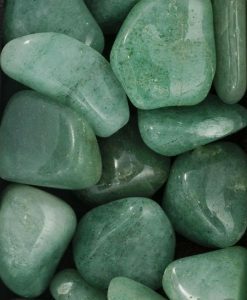 Aventurine comes in various colors such as green, red, yellow, peach, blue and more. Aventurine attracts true love, true friendship and lasting relationships. 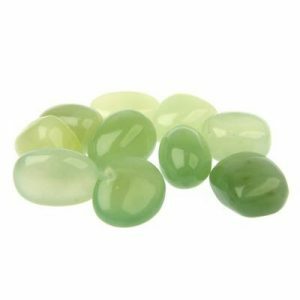 Green Aventurine is called the “Luck Stone,” bringing forth good fortune and new opportunities. Bowenite can be considered a semi-precious gemstone because it has a material of higher grade, and it has a transparent to semi-transparent appearance. It’s often found in colors that range from gray, blue, green, canary yellow, and light yellow. It will keep you safe from harm by creating a protective energy field around you. It’s an unusual but an excellent stone of protection that will protect you on a physical, emotional, mental, and spiritual level. Bowenite is also a powerful dream stone, It is said that Bowenite will assist your dream-solving and help you find the answers that you seek through dream work. This stone’s energies will encourage you to release your hidden or repressed emotions through your dreams Bowenite will encourage you to trust in your psychic abilities more because this stone will also promote psychic development. It will strengthen your connection to your ancestors as well as encourage you to accept the events of the past and how they have influenced you and the generations before you. The supportive energies of this stone will give you the freedom to travel your own path and do what makes you happy! Danburite may look like quartz, but it is far rarer, and its prismatic crystals are really more like colourless topaz in structure, danburite can appear in a variety of colours, although white is by far the most common and most powerful. 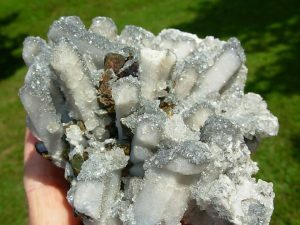 The powers of danburite centre around developing a profound psychic link and harmony between the heart, the mind, and the spiritual world. It encourages self-love, self-acceptance, and deep spiritual enlightenment. It is known as one of the stones with the highest vibrations of any, meaning that it is an extremely powerful and beneficial stone to use for any situation where you can’t afford to have any nasty “residual energy” sludging up your workings. 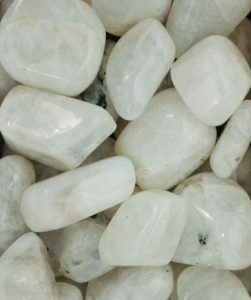 Danburite is also known to be good with meditation because of its abilities to clear the mind and promote peace and serenity. It activates your intellect and higher consciousness When you put your Danburite under your pillow, you can enjoy a more restful sleep and more lucid dreams Pink Danburites have a strong connection with love They open your heart up to love so that you will give and receive unconditional love. It works with your third eye and crown chakra and connects your heart to the higher chakras and facilitates a better communication with your angels. It can be used in tandem with other stones to amplify and manipulate the intended effect. One can create a selenite spectrum by laying their selenite wand downand placing a range of tumble stones along it to create a rainbow effect. It is also a great stone for creating energy grids within the home, or even on your yoga mat to boost mental balance while establishing physical balance. Wearing selenite jewelry, such as a necklace with a selenite pendant can ward off toxic energy and prevent your light from being sucked away by energy vampires. Selenite can also be used to cleanse the energy of your other stones. If you feel that the energy of a certain stone is dull or less vibrant than it used to be, clear it using selenite. If you have a large selenite block, you can lay your other stone on top of the block overnight to recharge. If you have a selenite wand, you can set your other stone beside it for the same duration of time until the energy has been rejuvenated. If you’re drawn to the Hematite crystal, it could be a sign that you’re in need of grounding and balancing in your life. As soon as the Hematite crystal stone touches the skin, you’ll feel more centered and calm with its intense but subtle vibrations. Calling all drama queens! 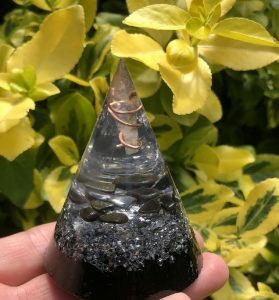 While all crystals have powerful grounding effects, the Hematite crystal properties are a gem when it comes to clearing and activating the root chakra, the energy center that anchors us to the earth and provides a feeling of stability. If you’re feeling unsteady, either physically or spiritually, meditate with Hematite in a specific healing layout to immediately benefit from its grounding affects. Lay on the floor on your back with your legs uncrossed and place a Hematite stone on your lower abdomen and another stone in each hand to ground and center of the body. With every deep breath, say to yourself, ‘I am grounded and connected to the earth.’ As you say the words, feel this powerful stone absorbing negativity and bolstering your inner strength and resolve. Shimmery Hematite reminds us of the stars, a force as powerful as sunlight yet soft and subdued. According to legend, the Native Americans believe that the stars in the sky are the campfires of our ancestors. Next time you’re sitting outside at the campfire, remember the ancient civilizations and how they cherished the nighttime display of our stunning cosmos. Hematite’s message is simple–Go outside more and reconnect your spirit to the wonder and mystery of the lights in the sky. Meditation with citrine brings warmth, clarity and inspiration. A good mantra to use with citrine crystal meditation is: I am Light, I spread Light. This emanates vibrancy, and will assist in you in bringing energy flow to soul, mind and creativity. 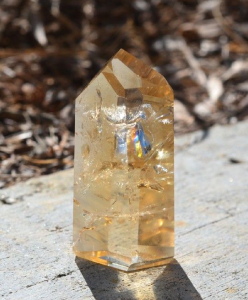 To use a citrine point in manifestation rituals, just write your intentions on a piece of paper and place them underneath the point. Combine with different stones to amplify the specific goal of the manifestation. Rainbow Crystal Quartz – Rainbow Crystal is any form of Quartz that naturally flashes the colors of the rainbow when light hits the crystal, Rainbow Crystal will remind you that you should see the natural beauty that surrounds you at every moment. When paired with Blue Apatite, Rainbow Crystal is a natural promoter of hope, happiness, peace, courage, creativity, and optimism. It will remind you to respect all forms of life. It’s an excellent crystal if you spend too much time inside yourself. It will remind you that light creates. rainbows, and that light cannot pass through if something is tightly closed off. You need to let light in to your life if you want to experience your own rainbows and your own miracles! The rainbow is a very strong symbol of the movement of your consciousness through the different levels of growth that each color of the rainbow represents It’s also a symbolic bridge between this world and the next, It’s a symbol of a much-needed transformation, and it holds the promise of fresh starts and new beginnings. 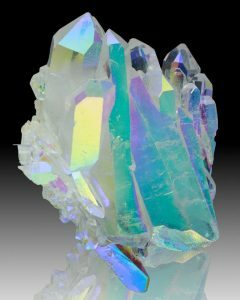 Rainbow Crystal will promote peace, love, and harmony in your relationship. It will also remind you to take care of your own well-being on a physical, emotional, mental, and spiritual level so that you can also love and take care of the people in your life. 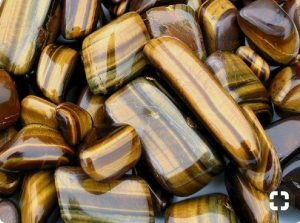 Without fear or anxiety holding you back, unlock hidden talents with the Tiger’s Eye crystal stone, which is known for stoking the fires of passion deep within the loins. If you’re feeling creatively stuck or spiritually adrift, Tiger’s Eye serves as your spiritual compass that guides you towards the light, helping you harness the powers of the universe in whatever you set out to do, whether it’s matters of the heart or the boldest career ambitions. Channel the powerful energy of Tiger’s Eye by gazing at its shimmery luster that resembles a cat’s-eye when turned in the light. Also called ‘chatoyancy,’ the French word for ‘cat,’ Tiger’s Eye crystal properties help fuel the fire of your passions when you quietly meditate with the stone on a daily basis. An excellent healing grid for dreamers, the combination of Tiger’s Eye and Citrine is the ultimate power cocktail in crystal healing. Whatever goal you want to manifest, whether it’s sipping mai tais on an island paradise or buying a Birkin bag, transform your dreams into reality by stating an intention. Keep it simple and realistic by setting a goal for what you’d like to achieve in the next 10 days. Every morning, wake up to a new day and reconnect with your intention every time you look at the grid. During this 10 day period, the combination of Tiger’s Eye crystal properties and Citrine works to build up commitment and will power to keep moving forward. Tiger’s Eye and Citrine are stones of self-empowerment. Their healing vibrations remind us that great things come from hard work, perseverance, and a loud roar of the jungle. The road to happiness and success might be paved with difficulties but often leads to beautiful destinations. 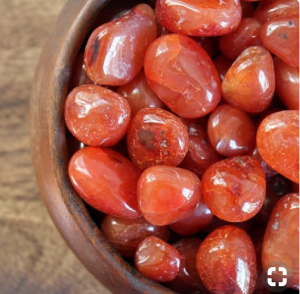 Besides its striking aesthetic, the Carnelian crystal stone meaning represents the hot cauldron of the lower three chakras. It’s associated with taking bold action with its hot and fiery spirit that stimulates the root chakra, helping circulate vital energy to your center, which contains your deepest sexual desires and powerful creative instincts. Whenever you’re called on to perform, whether it’s in between the sheets with your lover or a creative performance on the stage, be the star of your own show with by accessing the healing properties of Carnelian, the fiery companion guiding you in facing your fears. Keep Carnelian by your side either as jewelry or as a stone in your purse or pocket and put plans into action with confidence. Included in the orange color ray, discover your true passion with a Carnelian meditation ritual. Find a comfortable place to sit outside and watch the sunset, which represents the closing of the day and the beginning of a new dawn. This time of day is the perfect opportunity to press the pause button on everyday expectations and ask your muse to come out and play. Fully enjoy the moment while holding Carnelian over the second chakra, just below the navel. When you feel that jolt of inspiration, the light bulb switching on in your brain, close your eyes and sit quietly while asking yourself what would bring you joy and excitement in your life at this very moment. Whatever first thoughts come to mind, meditate on what steps you need to get there and the Carnelian will help focus your energy on what truly matters. 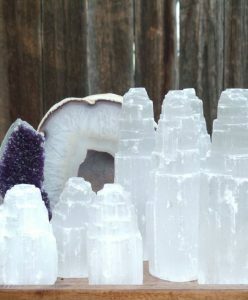 Quartz properties like amplification and programmability, are essential to manifesting intentions. To program the quartz with your intentions, hold it in the palm of your hand, and focus on what you want to transfer into the crystal. 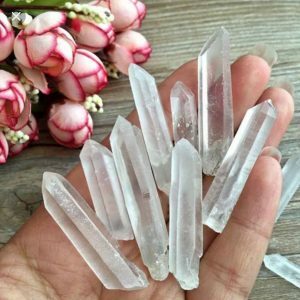 The crystal’s memory will download your intentions, and help to manifest those goals through its ability to amplify in the same way it does in technological devices. However, quartz healing properties will amplify any energy surrounding or being put into it, so making sure to occasionally cleanse the stone is important in order to maintain a positive energy. For meditating with the quartz, one can either implement their own intentions into a mantra, or use a mantra to solidify the meditation after transferring their intentions into the crystal. A fun mantra to use with quartz is: “I am crystal clear on my intentions and goals.” Repeating this during meditation strengthens the will of your purpose and helps in visualizing your objectives. Lay down, and set the clear quartz on the third eye to establish clarity and ease of flow into in crown chakra. To meditate with amethyst, go into a room with soft lighting and a calm energy. You can use an amethyst point, to send energy and intentions into the universe, or an amethyst cluster. 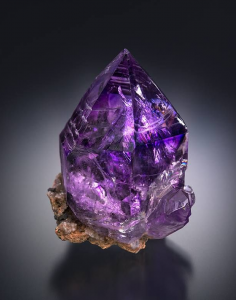 Sit or lay on the floor with the amethyst in the palm of your hand, and breathe in the violet energy of amethyst. Visualize what it is you want. Allow the mellow energy of the amethyst to bring to state of clarity. Imbue your soul with confidence and feel the amethyst radiating its protection into your spirit. When you are ready, take one last deep breadth in, and slowly open your eyes as you breathe out. Cleanse your amethyst after meditating. 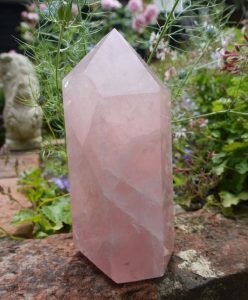 Rose Quartz Crystal – Though it’s thought of as the stone of love, it’s not just romantic love that rose quartz crystal embodies. The rose quartz stone meaning is one of unconditional love. The way it facilitates love entering your life is through it’s ability to bring your consciousness to a higher level. Helping you to forgive, understand and see fights or situations from a different perspective, rose quartz healing properties will imbue you with the wisdom to deepen your connection with your partner. In that same way, rose quartz properties provide gentle energy that assists you in recognizing your own need for compassion. It allows you to see that you deserve forgiveness and understanding from yourself. Associated with the element of water, rose quartz healing properties are naturally fluid. They wash out toxic energies and emotions that you have trapped inside of you. Meditate with rose quartz crystal to bring love and compassion into your life. If you’re feeling down on yourself, bring a rose quartz stone up to your heart so that it can connect to the heart chakra. Clear your mind. Sit with your emotions, both good and bad. Feel how whole and powerful you are. While concentrating on your breadth, inhale love and exhale any grudges or negativity buried within your core. Try to see the pink light of love that you are inhaling moving through your body, revitalizing your tired mind and surrounding your wounded heart. Stay in this meditation, focusing on breadth until you feel that your essence has lightened. When you are ready, repeat the mantra: “I will accept the light of love, I will beam the light of love.” This mantra is meant to help in your quest to become a loving being, not just to yourself and your loved ones, but to strangers and acquaintances, too. Moonstone – The Moonstone Crystal stone meaning is linked with our ancient fascination with the moon, the glowing Mandala of the sky. Call on the Moonstone crystal meaning to unlock the inner goddess that exists deep within your spirit and channel the brilliant white illumination of moonbeams shining light on your pathway to balance and harmony. Moonstone helps to open up the heart chakra, whichallows us to be more receptive and in touch with our inner feelings. Like waves crashing on the beach in a study push and pull of the tides, get back into your own natural rhythm and discover hidden treasures deep within the self. Moonstone is a creativity charm, and it rocks at bringing out your muse because it reminds you of the miracle of life and our vast universe of infinite possibilities.